This month, we selected our featured publisher in celebration of two things: the timeless beauty of the classics, and National Novel Writing Month! Canterbury Classics is an imprint devoted to high-quality, contemporary, gift-worthy editions of the world’s classic works, from fairy tales and poetry to novels and nature writing. Canterbury also has a great line of journals that we hope will inspire you during #NaNoWriMo. 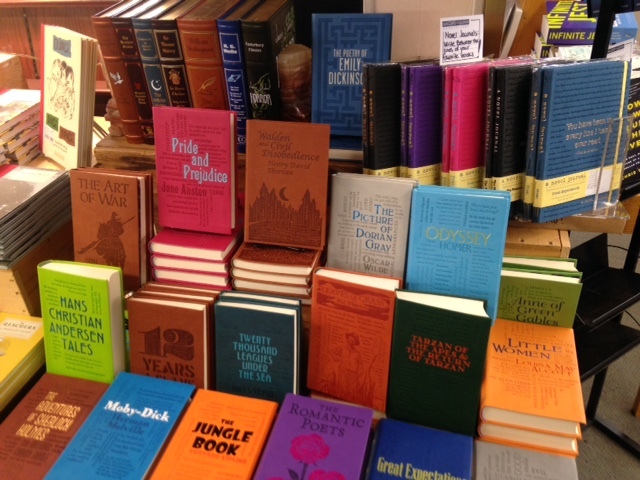 Canterbury Classics will be featured through the month of November. Whether you’re looking to treat yourself or find the perfect gift, we think this display will be a great place to start!